This essay was originally published on July 17, 2009. The apostle Paul instructed the young preacher Timothy to give himself to reading. In the ancient world, reading was normally done aloud, and it was often a public activity. Books were scarce, and if you were going to read aloud anyway, why shouldn’t others benefit from hearing? Paul thought that a young preacher needed to develop the habit of reading. This sensibility has been echoed through much of the history of the church. For example, the Anabaptists who drafted the Schleitheim Confession made reading the first duty of a pastor. Periods when pastors did not read have invariably been times of spiritual darkness for those who name the name of Christ. Reading continues to be one of the most important duties of a pastor. Pastors are responsible to do the work of the mind, and their minds must have something with which to work. Reading is the door, and texts are the workmen through which the furniture of ideas enters the mind and organizes a pastor’s ministry. How much should a pastor read? The answer to this question is determined by the nature of the ministry. A pastor needs to read enough, and enough of the right stuff, to be growing intellectually and to meet the demands of ministry in the world in which he lives. Most of us minister to people who are familiar with sophisticated ideas in the fields of politics, jurisprudence, ethics, philosophy, and religion. For the most part, these ideas are mediated to our people through channels that are hostile to Christian orthodoxy and morality. Reading widely and thinking well is the only way for a pastor to help his people out of their bad thinking. I do not see how a pastor can expect to meet the challenges of contemporary ministry if his goal is to read less than approximately one book every week. What should a pastor read? 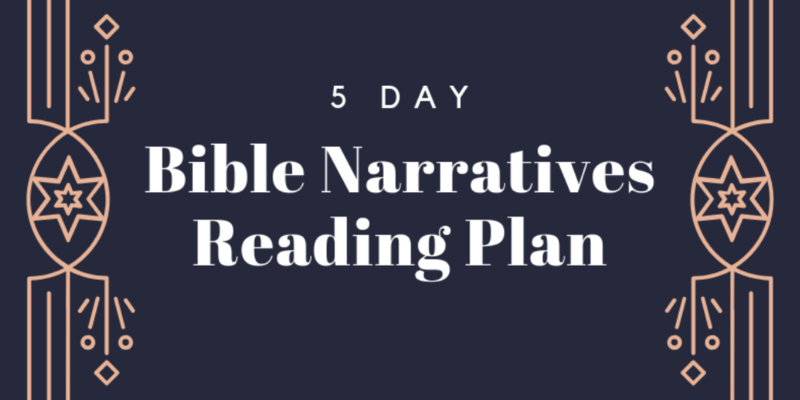 The short answer is, “All sorts of things.” Besides reading his Bible and reading for sermon preparation, a pastor should have a reading plan that he tries to implement consistently. Of course, his planned reading will be interrupted by necessary reading, but the plan gives some shape to his reading agenda. Since graduating from seminary, I have found it useful to try to read by topic. I have a list of half-a-dozen general categories of reading. I try to rotate books from these categories. The first category consists of books devoted to biblical studies. These may be introductions or surveys. They may be books on biblical backgrounds. They may be commentaries (reading through commentaries is a discipline that pastors should develop). They may be books that deal with specific interpretive problems. In this category I also include books on biblical interpretation or hermeneutics. Reading about critical problems also comes here—for example, I read books dealing with the synoptic problem or the historical Jesus. The second category is theology, under which I include biblical, systematic, and practical theology. Under this section are Old and New Testament theology as well as the theologies of various biblical authors. Naturally I place full-length systematic theologies under this category, but this is also where I put books dealing with particular doctrines or even aspects of doctrines. Apologetics and comparative religions fit into this classification. This is also the category under which I read books on practical theology, including evangelism, church growth, missions, and counseling. My third category of reading is philosophy. In my reading rotation, this section is broader than traditional metaphysics and epistemology, though both have their place. This is where I put materials related to intellectual history. It is also where I place reading on ethical and aesthetic issues. Books on politics and culture fit here as well. History is the fourth category, and it is an important one. History is not so much the study of the past as it is the interpretation of the past. When we share history, we are telling the story that defines who we are. I want to know that story in detail. I also want to know the story as it is told by people who define themselves differently. A pastor should take time to read broad, general histories, but he should also read histories that are more narrowly focused. He should particularly know the history of his ideas. Incidentally, biography forms an important sub-category under history. A well-written history or biography is more interesting than even the best fiction. Speaking of fiction or literature, that is my fifth category. Under this classification I attempt to read classic works of literature. I also attempt to read critical works about literature as well as literary surveys. And (I confess) this is the category under which I sneak the occasional murder mystery or fantasy. To do so is not necessarily playing hooky: a pastor should be conversant with any literary works that are likely to be exerting an influence within his congregation. For example, every pastor should have read the Harry Potter series or The Da Vinci Code. Every pastor needs to read The Shack. People are going to ask questions; pastors need to have first-hand answers ready. My final category could be labeled miscellaneous. About every sixth book I try to read something that is entirely outside my ken. Here is where I do occasional reading in the sciences, including the social sciences. I may work through a book on mathematics or gardening or home improvement. I may read about fly fishing or Mauser rifles or astronomy. The truth is that I want to know all about the world, and this is the category under which I try to explore as much of it as I can. Incidentally, these books often provide some of the richest illustrative material that makes its way into my preaching. Fifty books a year will not make you a scholar. It will, however, help you to be a better pastor. While reading is not the only thing you need to do, it is one of the more important things. Unfortunately, it is also one of the easier things to neglect. Reading takes skill and discipline, but you will be rewarded for doing it. time, like a stream, bears all its sons away. old friendships, less familiar than before. from strains our airs, fit for eternity.